Tuk tuks drive through the streets of New Delhi, India. Pilgrims prepare food at the Sikh Golden Temple in Amritsar, India. A man rests near the Radha Raman mandir in Vrindavan, India. A musician leads a Hare Krishna chant among devotees in the ISKCON mandir in Vrindavan, India. Devotees prepare the sunset aarti along the Ganges River near Rishikesh, India. Hindu devotees sing and pray along the Ganges River. Hindu devotees light aarti lamps near Rishikesh, India. Pujya Swamiji sings at the sunset aarti on the banks of the Ganges River. 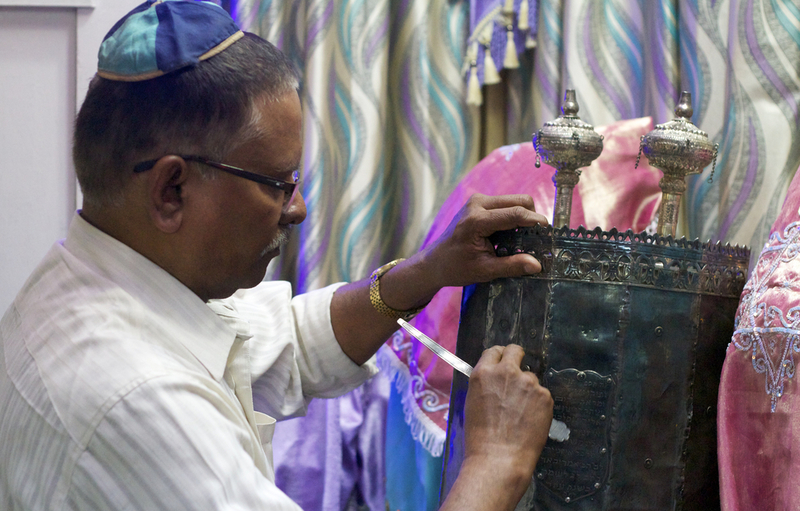 A man secures the Torah in the Magen Abraham Synagogue in Ahmedabad, India.